HOST UK is Cause of the Month for November! Home › News › HOST UK is Cause of the Month for November! 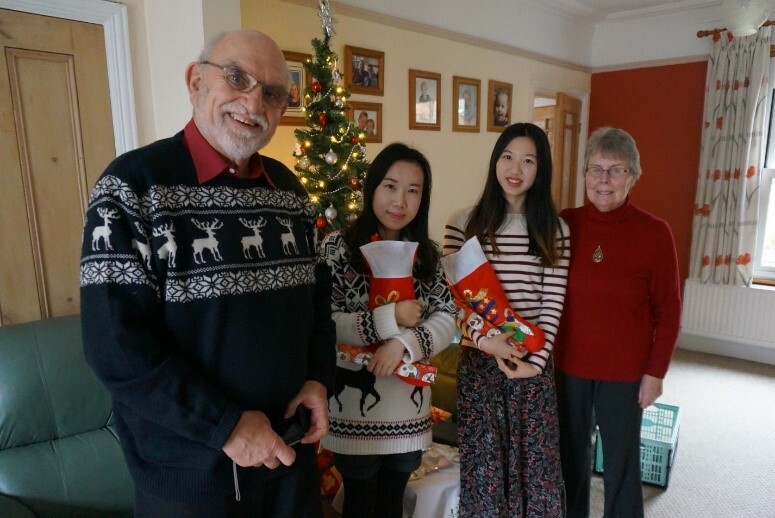 HOST UK promotes international friendship and understanding by enabling international students in the UK to enjoy short homestay visits in a British home. We believe that through face-to-face encounters we can better appreciate and enjoy each other’s cultures and traditions. For a student guest the experience often dispels fear of prejudice and addresses any feelings of loneliness. For our volunteer host, they are visited by interesting young people from all over the world keen to experience a genuine British encounter. As a volunteer host you will open your home for the weekend to receive your student guest, meeting them at the nearest train or coach station and making them a part of your family for that short but precious time. We don’t ask our hosts to be tour guides, but having a guest often makes us acutely aware of what is special about our locality-and keen to showcase it. Sharing meals and conversation are often the most valued high points of many visits. Inviting your guest to be alongside whist you go about your usual activities is for them, a refreshing change from the intensity of their studies and the routine of their academic lives. It is a great chance for us international students to better understand British culture, which is quite different reading a book. I would recommend my friends to join Host UK to explore their wonderful trip. It’s a window on a different culture. It helps to understand different lives and to become more tolerant. It feels good to help students who may be a little lonely or confused in a different country. During the festive period, both Christmas and New Year, visits are especially popular. Students are keen to experience what they know to be a time of celebration and long held traditions. With return visits to home being financially prohibitive as it is for many a student, how joyous to find oneself warmly welcomed into a British home. However…if you already have full-house, please know that hospitality can be offered at any time of year and as often as suits your life style. We hope that in enrolling, you will be able to host at least twice a year, though what we often find is that the experience has been so gratifying, it is offered repeatedly! You can also view their opportunities here on Volunteer Wessex – see below!